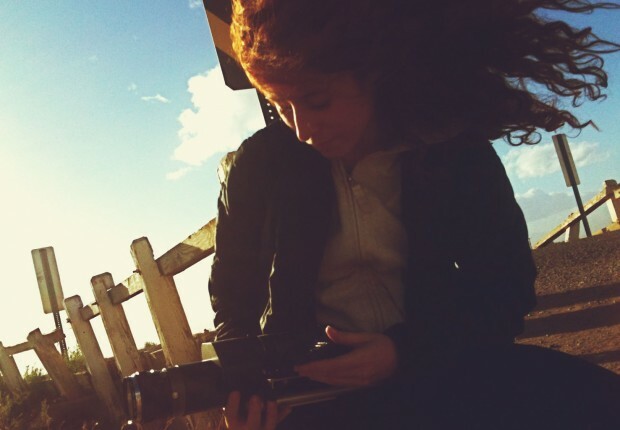 “Stunningly shot and formally audacious, Bombay Beach, the first feature of director and cinematographer Alma Har’el is a rare bird, the type of film that seems to be building its own cinematic language from the ground up. While it wears the influence of Harmony Korine, Larry Clark, Lynne Ramsay, David Gordon Green, Charles Burnett and Gus Van Sant (just to name a few), it announces a major new directorial talent in Har’el who is working in a key all her own." Born and raised in Tel Aviv Alma Har’el began her work as a photographer and a video artist. Her live video-art performances with musicians led her to directing music videos and her frequent collaborations with singer Zach Condon of the band Beirut brought her several nominations in film and music video festivals around the world. The video for Beirut’s “Elephant Gun” was chosen as one of the best videos of the decade by several publications and her acclaimed music video for Sigur Ros starring Shia Labeouf is currently showing at film festivals around the world. Her work is recognized for her expression through modern dance, landscape and character and for her ability to create images with a striking balance of emotions - heavy hearted as much as they are joyful and playful. Currently she lives in Los Angeles and NY.